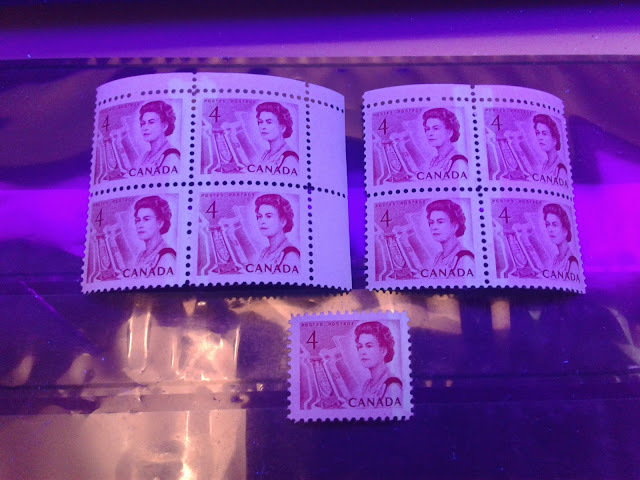 This week's post will examine the booklet stamps, miniature pane stamps and coil stamps of the 4c seaway lock stamp from this issue. 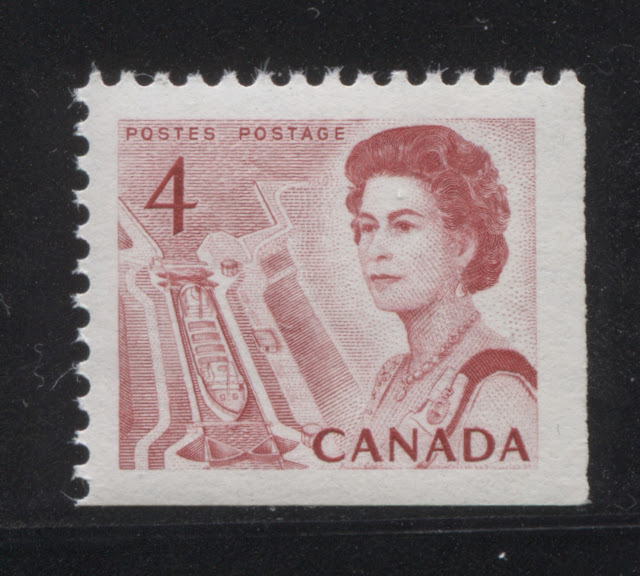 Unitrade and McCann differ slightly in terms of the fluorescent paper varieties that they list for the booklet stamps, but otherwise, they are fairly close in terms of their listings. McCann does list two plate flaws on the BABN booklets, that are not listed in Unitrade, and these are described in this post.